We were really excited about sharing this company and their offerings because they do some pretty cool wedding party gifts. Many of our clients give gifts to their bridesmaids and groomsmen and Groovy Gifts sent one of them to us to take a look at. So today we are sharing the camera bodies and the lenses that we use on wedding days and are sharing the lenses necessary for shooting weddings. We hope you find it helpful as you grow as a wedding photographer. Feel free to check out our YouTube Channel too as we bring educational content! At some point or another the photographer gets tired of lugging all their equipment to every wedding. Light Kit, Flashes, Batteries, Cords, Extension Cords, Camera Bodies, and the good old lenses. As a lover of Canon, Patrick and I definitely have our pick of must have lenses that every wedding photographer needs. These are our favorite lenses we use for weddings, but they are also totally the must haves if you have any for a wedding. I was asked earlier this year, "Do you ever second shoot weddings?" My response, "I'm not sure, I have never second shot a wedding before." The response is always the same: "WHAT!!? How do you book 30 weddings in a year and you've never second shot?" Well, I never have, until a few weeks ago. Today I'm sharing a little bit about my experience second shooting for the first time. We are super excited to kick off our wedding season with a post about stationery and packaging... Patrick says I have a paper addiction. He is definitely right. Our first wedding of 2015 is later tonight which means that our packaging is ready to go as well! 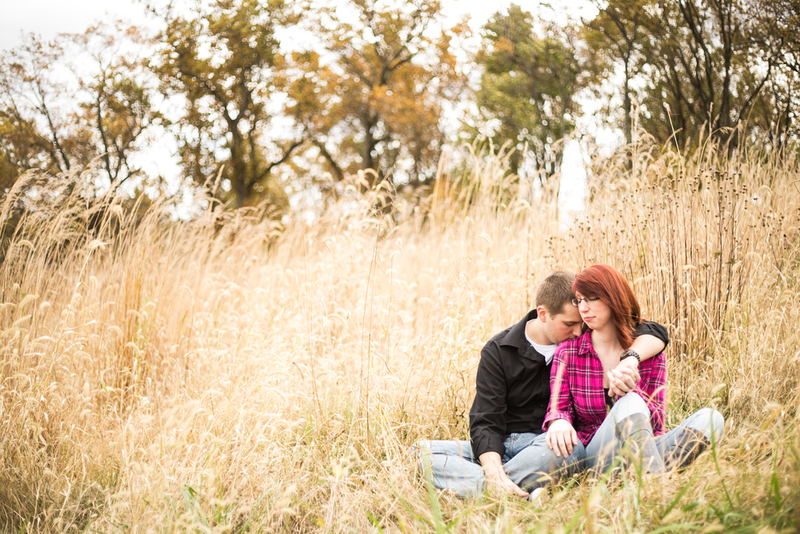 I knew we needed to do an engagement session when we booked our first wedding client. Here's a few reasons why we love them. When we meet with couples for the first time, we share a little about us and how we got to where we are. We are story-tellers, both in our personal lives, and with our camera. It’s just how we live life. Over the past year, we’ve had a a lot of couples asking about our style. As a college kid, I used to say “I aim to capture life in all its radiant moments." Now in 2015, now that we have a better idea of our client, who we are and who we want to be, we tell people we are photojournalists and storytellers. Here’s the wikipedia version. You know the ride you get on at the amusement park that you love, but during the ride your gut hurts from laughing, you're scared and end up close your eyes during certain moments? Then at the end, you’re ready to do it all over again!? Well, that’s how Patrick and I felt booking our first wedding. We had no idea what we were doing, but we were so excited. We didn't know where we’d stand or what to wear. We didn’t know if we would even love photographing weddings. We just loved photography and loved people. We knew and trusted the client. We didn’t do any site visits. Pinterest didn’t exist. All we had going for us was an awesome international portfolio that the couple loved. But most of all, we had the trust of our client. In every meeting we’ve ever had with a bride and groom, we always give a shout out to our first clients. They trusted us. They empowered us. They had a natural affinity with us. Those are three essential things we look for when we book clients. We are just as picky as the bride and groom is when picking out their wedding photographer. If you don’t feel comfortable, your pictures will reflect it. The opposite is true as well. Emotion cannot be edited or altered. If a bride doesn’t feel comfortable with me, I can’t edit her emotion in photoshop. We aren't Vogue magazine. However, the brides and grooms who feel comfortable with us, and we with them, are the clients we book. Laughter, joking, genuine compassion and care of our client. The client experience we offer is why we are growing. At least that's what we are told by our clients. We believe most couples hire us because we are transparent, able to share our weaknesses, see that we display our strengths, that we are teachable and lovable, and ready for any challenge. The other reason: we are a husband/wife team that rely on the strengths of each other. We don’t call ourselves “first and second shooters.” We are a team. We have roles, and are solely focused on our clients experience aligned with our camera and lens in hand. If you're reading this and your the bride or groom, know that you and your fiancé will be a team if you’re not already. You will learn to trust each other in ways you didn’t know you could or needed to. You each bring a strength to the other. You will need to communicate, encourage, learn and empower each other. That's how you build trust. The power in the trust of a client is what keeps us moving forward. It’s what allows us to get creative. Allows us to dream big. When we earn the trust of our client, our lives are better, and happier. We are fullfilled. They trust us to pose them, to know them, and to accept them. A real example from a wedding last year. Sarah and Chris trusted us. We photographed their wedding last September. Sarah and Chris wanted us to divert from the timeline when needed, to pull them aside if we saw a great shot, etc. The image below was one of those trust moments. On the way to the reception Sarah and I spotted these weeping willows, looked at each other and we both knew without words. 3 extra minutes allowed Sarah and Chris to have time with each other. They trusted us. The result: an image capturing a beautiful moment. Unplanned. But they trusted us.